Ethiopia frees 68 Eritrean PoW, 7 seek asylum in Ethiopia. Ethiopia said on Monday it had released 68 Eritrean prisoners of War (PoW), but seven of them have sought asylum in the country that once held them prisoners. The Eritreans were caught during a March raid on Eritrean military bases, which Ethiopia claims were used for "hit-and-run" attacks by subversive groups operating in the remote region. Adam Woldemarim was cleaning out the back seat of his vehicle last month when he noticed something between the seats, the Las Vegas Journal-Review reported. Woldemarum discovered a black soft laptop case with $221,510 inside, according to the newspaper. October 9, 2012 We, the undersigned, are writing this letter to you to bring to your attention the life-threatening inhuman situations and human rights violations that are facing 300 Eritrean Red Sea Afar Refugees who are currently in detention in Yemen..
October 5, 2012 (ADDIS ABABA) - The Eritrean government has rejected the appointment of a UN Special Rapporteur to the Red Sea nation. The UN Human Rights Council last July appointed Mauritian national Beedwantee Keetharuth as Special Rapporteur to Eritrea to investigate the situation of human rights in the Horn of Africa. 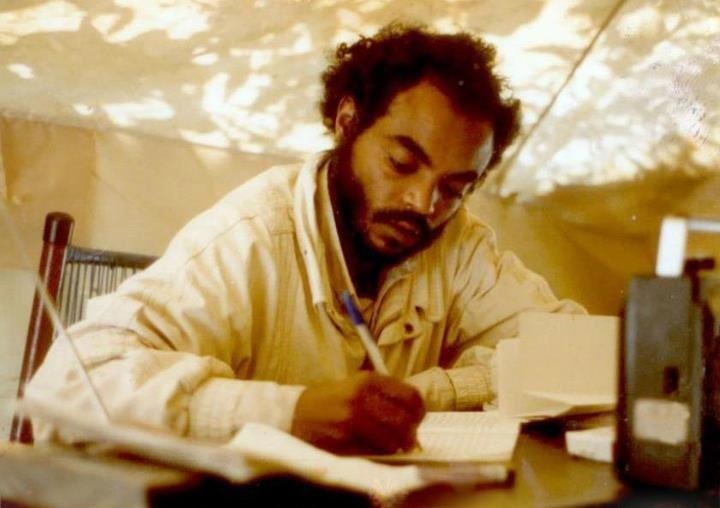 On August 20, 2012, Ethiopia lost its brave son the late prime minster Meles Zenawi. When the state media announced his death, various international news agencies reported about the death of the prime minster the way they perceived him. 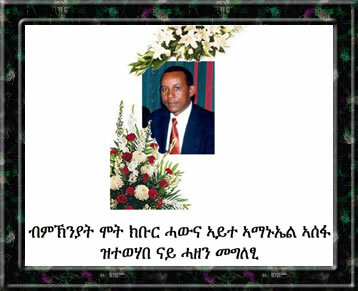 (MoFA 10/05/12)- It is hardly a surprise that reporter Martin Schibbye and photographer Johan Persson pardoned and released from an Ethiopian jail at the Ethiopian New Year should immediately come up with allegations of mistreatment.